Pattern tiles are designed to showcase your personality and attention to detail. Nerang Tiles has a range of unique tiles to do exactly that. From Morroccan influence pattern tiles, European classics or modern interpretations, you are sure to find what you are looking for at Nerang Tiles. 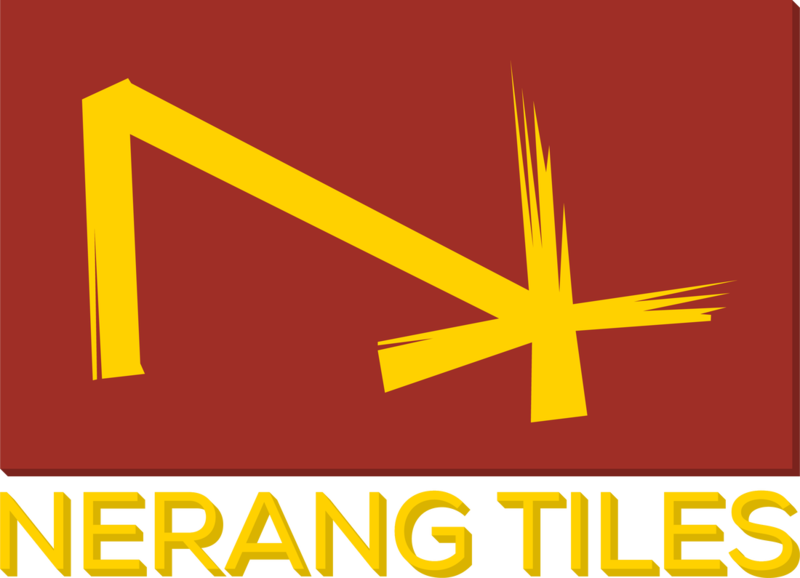 More tiles in store - the Nerang Tiles website is only a snapshot of the 1,000's of tiles in store. Or Visit our award winning showroom, we're here to help. Bring your imagination to life by creating your own feature tiles with the My Print range. Provide us with any image or concept and we can print it on any tile to cover a single tile, an entire wall feature or floored area. Whether or not to include a feature tile as a floor tile or wall tile in your bathroom, kitchen, living or outdoor area is completely personal taste. Feature tiles should be personal and used to highlight your design aspirations as a reflection of your and/or your family’s personality. However, selecting the perfect feature tile has become more complicated in recent years. With the emergence of thousands of different types of tiles in a range of size formats, finishes and textures, knowing what is available and having a plan is essential to selecting the perfect floor tile or wall tile as a feature tile. Feature tiles that are commonly available now include subway tiles, glass tiles, metallic tiles, designer tiles, rustic or handmade tiles, timber tiles, glass mosaic tiles, marble tiles and much more, including tiles with digital patterns and 3D textures. Feature tiles can be your secret weapon when it comes to making your home or parts of your home feel more spacious, glamourous or just less dull perhaps. When selecting and thinking about what tile you should use as features tile it is important to remember to select a floor tile or wall tile that will accentuate the positive. You will want to highlight the architectural features of your home, or the significant fixtures such as free standing baths, glamour kitchen benchtops, fireplaces etc. Adorning niches or irregular cut out walls with a feature tile can be a great option that can change the feel and look of the entire area. Be careful to not go to extreme with your feature tiles. It is great to accentuate your character and choose a floor tile or wall tile that you love, after all you have to live in the place. However if you are thinking about reselling in the future it is important to choose a feature tile that can appeal to the greater market. Nerang Tiles suggests choosing a feature tile that is personal but has subtle texture or design. Your feature tile does not have to be highly contrasting. In fact, if your bathroom is on the smaller side it is preferable to use the same floor tile or wall tile in a different size or shape as busy floor tiles or wall tiles can be overwhelming. In a small bathroom, Nerang Tiles suggests using a 300mm x 300mm floor tile with the same tile in a different format on the wall. Tiles often come in a range of sizes, formats and textures, so you could have a square tile on the floor, rectangle on the wall and the same tile as a hexagon or subway as a feature tile. Remember you can lay tiles in different arrangements as well such as straight, brick or herringbone format. This technique with floor tiles or wall tiles is great for creating subtle textures and interesting with feature tiles in any area. Nerang Tiles has thousands of floor tiles and wall tiles on display at its Gold Coast Tile Showroom. Most of the tiles on display can be used as feature tiles for your bathroom, living area, outdoor area or kitchen splash back. We recommend visiting the tile showroom to see the range and receiving advice and assistance from the designers in store. You can choose tiles such as subway tiles in a range of unique colours that are available in handmade look subway tiles, beveled edge tiles, flat tiles in gloss, matt or other unique textures. You can also select from glass mosaics, metal mosaics and marble mosaic tiles that are often combined with each other to create stunning feature tiles. Visit the Nerang Tiles Gold Coast Tile Showroom to see the full range of feature tiles available in Queensland. Patchwork and Pattern tiles are taking the home decor world by storm. Pattern tiles can add character to a living space, allowing you to express your personality and showcase your attention to detail. If you are wondering how to add some spice or character to your living space then patterned tiles or patchwork tiles are the answer. With design influenced by traditional Moroccan designs, Mediterranean artwork and classical European architecture, pattern tiles will not only add life to the room but transform the entire space. Pattern tiles have all the benefits of floor tiles and walls tiles. Pattern tiles are cost friendly and provide durability and a low maintenance aesthetic. Nerang Tiles has one of the largest ranges of pattern tiles and patchwork tiles. Nerang Tiles has a huge selection of classic and modern design at its Gold Coast Tile Showroom. Choose from our comprehensive selection of pattern tiles and patchwork tiles with even more on display at the Nerang Tiles Gold Coast Tile Showroom. Couldn't find what you were looking for on the Nerang Tiles website? The Nerang Tiles award winning showroom on the Gold Coast has over FIVE THOUSAND different tiles on display. Nerang Tiles hosts an extensive retail tile showroom displaying floor tiles and wall tiles, including glass and metal feature tiles from around the world suitable for all indoor and outdoor areas. Showcasing the latest in tile design and interior trends, including all classic and traditional tile designs, a visit to the Nerang Tiles showroom may be just what you need. Nerang Tiles is a one stop tile showroom, providing full and free colour and interior design consultation to assist builders, architects, retail and interior designers tile all areas from floors, walls, bathrooms, kitchens, pools, outdoor areas, entrances, offices to driveways. If you have a colour, a look or even another tile, the staff at Nerang Tiles can help you complete your design aspiration with our huge range of quality and discounted tiles at the Nerang Tiles award winning tile showroom on the Gold Coast.